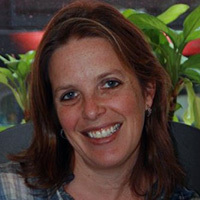 Felicia Herman has been Executive Director of The Natan Fund since 2005 and is Chair of the Advisory Board of Amplifier, the Jewish Giving Circle Movement. Felicia is a frequent commentator on topics such as funding innovation, new trends in Jewish life, and the power of the giving circle model for engaging people in values-based, collaborative giving. Felicia serves on the boards of Bikkurim: An Incubator for New Jewish Ideas, The Sefaria Project, and on the advisory boards for several of Natan's partners and grantee organizations. She is a recipient of the Jewish Funders Network's JJ Greenberg Memorial Award, and she holds a Ph.D. in American Jewish History, an M.A. in Jewish Women's Studies from Brandeis University, and a B.A. from Wellesley College.